An aircraft with 10 people on board circling territories stricken by forest fires in Russia's Irkutsk region failed to report back to rescuers at the scheduled time. 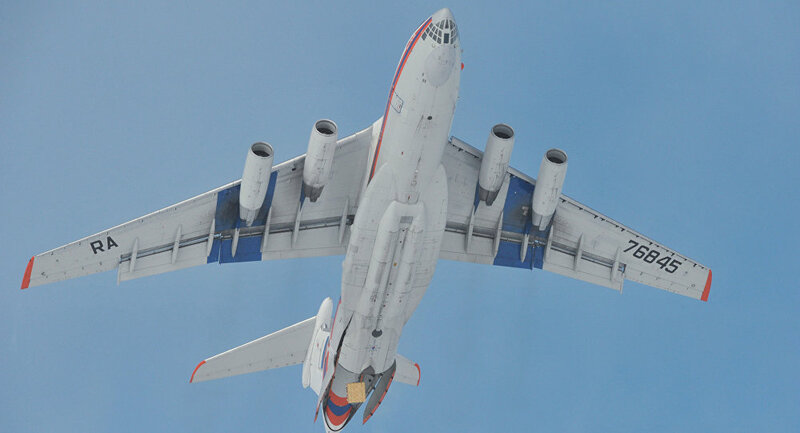 MOSCOW (Sputnik) — An Il-76 aircraft circling territories stricken by forest fires in Russia's Irkutsk region failed to report back to rescuers at the scheduled time, a source in the local emergency services said Friday. "The aircraft with rescuers on board should have made contact at 6:30 Moscow time [3:30 a.m. GMT] but failed to do so," the source told RIA Novosti. The Russian Ministry of Emergency Situations confirmed the incident, noting that a rescue helicopter had been sent on a search mission. The ministry has also dispatched an additional rescue mission from near Moscow, equipped to conduct search operations in difficult terrain. "Two SuperJet-100 planes with an Emergency Ministry task force and an Il-76 with 100 parachutist rescuers are ready for takeoff at the Ramenskoye airfield near Moscow," the ministry said. A total of eight aircraft were engaged in the search and rescue mission, six of these from the Emergency Ministry, carrying 30 rescuers and six psychologists, according to the ministry's Siberian regional center. While initial reports on the numbers of the crew varied between nine and 11 people, the ministry later confirmed that there were 10 people on board.